Khudadad Khan was born on 20th October 1888 in the Chakwal District in present day Punjab. His parents were of Punjabi descend. Khan served the British Forces in the 1st World War as well when he was in 129th Baluchis. He has the honour of being the first Indian solider to receive Victoria Cross. In the October of 1914 he was among the 20,000 troops that were sent to the front lines to help the exhausted British troops. It was also planned to stop the Germans from capturing the strategically important posts of Boulogne in France and Nieuport in Belgium. The greatest threat at that time was the advancement that was being made by the enemy. The other issue was the numbers. It means that the German forces outnumbered the British Expeditionary Forces as well as the Baluchis that were sent. Khan was a part of 129th Duke of Connaught’s Own Baluchis as a Sepoy. 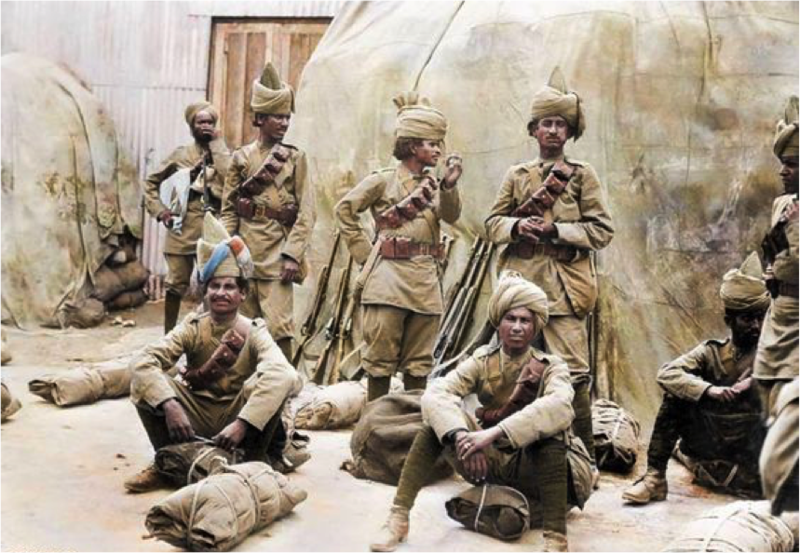 This regiment formed a part of British Indian Army. It is now the 11th Battalion in the Baluch regiment of the Pak Army. 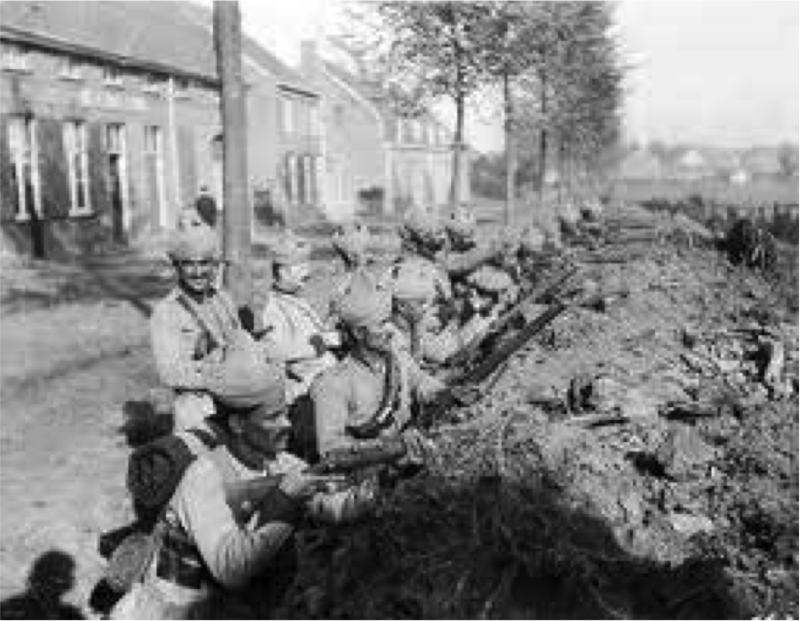 At that time it was among those Indian Corps that were sent to the France to fight the German Forces. The Eastern Front was the one for which this regiment was deployed as the British Forces were under perilous circumstances. He was 26 years of age when he was decorated with VC. He was later promoted to the rank of Subedar and joined Indian Army for the welfare of the newly formed republic of India. Khan’s portrait still hangs at the national army museum. His Victoria Cross is at display at his ancestral home in Chakwal. It was in 1914 that the Germans launched a massive offense to capture the ports so that the supply lines of the British forces are not only monitored but the vital points are also captured. On 31st October the first and last encounter between the two forces was at the Hollebeke village in Belgium where Baluchis fought bravely. The ratio was five to one and therefore it was not possible at all to win the battle for the Baluchis as well as the British Forces. It was only the Khan’s crew as well as the machine guns that continued fighting till the end. Another fact that has been quoted by the war historians is that at the time of confrontation the Baluch Regiment were in appalling conditions and therefore the lack of co-ordination as well as starvation were the main issues that leads to the defeat. Though the Baluchis fought bravely but they ultimately lost the battle due to heavy causalities. Though the conditions were devastating for the Baluchis, Khan’s crew managed to ensure that the work is continued and the enemy is engaged as much as possible. They not only held their positions but also caused heavy losses to the enemy forces amid strong German offense. The other crew that held the positions with the Khan was hit by a mortar and was unfortunately silenced. Khan and his crew came under fire and he was badly wounded. They continued pressing on German forces so that their time is wasted and they never get to the desired position in time. A fresh offense was then launched by the regrouping Germans and the Baluchis were overrun. Khan was the only surviving member of his crew. Everyone else was bayoneted brutally. He managed to save his life by pretending to be dead. It was due to this that the Germans left him and thus he saved his life. He crawled to his regiment in the dark of night and continued fighting with whatever was left. It was a gallant act that despite severe wounds he managed to crawl back to fight with the enemy forces. For this matchless valor and courage he was awarded the VC in 1945 at the Buckingham Palace. In 2014 Gen Lord Dennett urged the Muslim societies across UK to spread the awareness among the general public that how Khan fought for his country. Apart from khan 400,000 other Muslims who fought for the British Crown in the First World War should to be remembered. He further said that the multi ethnic culture that British has today is all due to the sepoys like Khan who are always embedded within. Though the service of Khan is little know in Britain today excessive coverage would let the English know that they share more history than they actually realize. Khudadad Khan’s bravery when he fought an army much larger to him i.e. a ratio of 5 to 1 is still remembered in Britain. The British are not only proud but they also recognize that it was his valor that kept the German army away from the fields and therefore they did not get time to occupy the posts that were of strategic importance. He was not only the first Indian but the first south Asian to get the VC from the crown for his gallantry actions which were performed during the time when they were needed the most. On the 100th Anniversary of Khudadad Khan’s VC the government of Pakistan also decided to name a newly opened University after his name. It was the battle of Yrpes that got him this award and this battle is not at all complete without mentioning Khudadad Khan’s valor. The others that were awarded within the Khan’s crew were Havildar Ghulam Muhammad who was awarded Indian Order of Merit and Lal Sher got Indian Distinguished Service medals. It is not that just Khan’s valor lead the forces for good but it was the entire Muslim battalion of Baloch which ensured that the best services are rendered to stop the enemy. It is also worth mentioning that after the war Khan was treated for his injuries at a hospital in Brighton and he returned to the army later that year. Out of 4447 members 3585 were killed and still the Baloch regiment managed to halt the advance.